Great, great post, Oliver. Despite being so late reading it, I loved every bit of the background story and your wonderfully accurate tasting notes. Unbelievable that a 16 YO white wine still retains so much acidity! Good for you that you got to enjoy it twice and thanks again for a great post! Thanks, Stefano! I am glad you enjoyed the post. 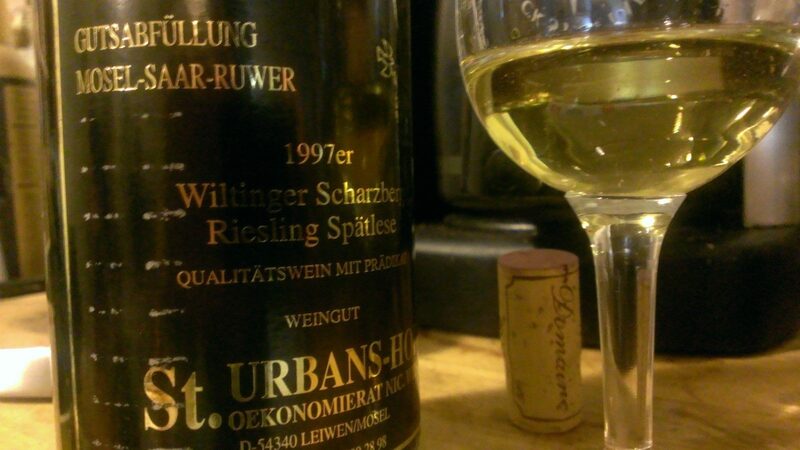 I have had a number of mid-90s Rieslings now that all have tasted really good. We’ll see what we can share one of these days…:) Have an awesome day tomorrow, my friend!! The liquid gold of late summer sunshine captured in a bottle. Mmmm memories – and all happy ones. 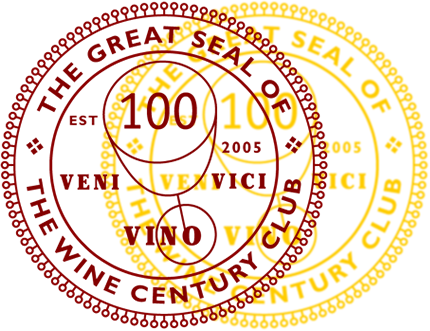 Yes, all happy ones…wine can do that! I thoroughly enjoyed the long segue to get to the bottle of wine. If I ever get enough bottles out of the cellar, I think I may reacquaint myself with some Rieslings, because of you. It has been a while since I have had to try to mangle a German word, and it will be time. We should work on that together, John! And thank you, as always, for your great support. It is very much appreciated! I wish I had a cellar big enough to lose and later find cases of fabulous Riesling! Sounds like a superb wine and experience. Salud! It was a great experience, and I think it will be a while until I will have a cellar like that….although Jeff’s cellar sounds a lot like it. lucky and delicious, a winning combination. Ha, I like that thinking! Do you really have any clear idea of how “blessed” you are, in so many ways? If you were some people I know, I’d find you really annoying. But because you’re you–I’m sincerely happy for you. Highly unlikely you’ll ever make that list–it consists of people who make themselves into look-alike, talk-alike clones of some dumb movie-t.v-or former-disney star; and those who talk very loudly and forcefully, over the top of everyone, on a topic they know obviously nothing about. And snivelers. Snivelers are most annoying. Oh, and I forgot to define the other annoyance: anyone who jet around the world (for example, to southeast Asia AND Germany AND Alaska all in the same 1/2-year) and then come home to find amazing wines dropped at their doorstep; unless, of course YOU happen to be that person.